The Israeli airforce targeted a motorcycle carrying three Palestinians on Saturday, injuring all three, in Central Gaza Strip. 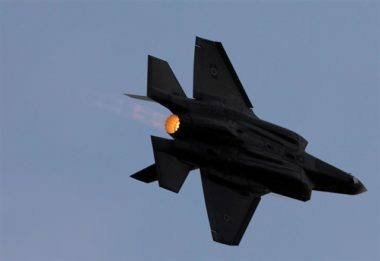 According to the Palestinian news agency Al Ray, a military aircraft targeted a motorcycle belonging to a citizen near Jaker Street, east of al- Boreij refugee camp in the central Gaza Strip . The Palestinian Health Ministry confirmed that three wounded Palestinians were transported to the Al-Aqsa Martyrs Hospital in the central part of the Gaza Strip for treatment. The al-Boreij camp is located in the central eastern part of the Gaza Strip, and is a frequent target of Israeli military attacks. The targeting of the motorcycle comes one day after Israeli forces killed two Palestinian civilians, identified as Nedal ‘Abdel Karim Ahmed Shatat, 29, and Jihad Munir Khaled Hararah (24), and wounded more than 180 during protests at the Gaza-Israel border. It is worth noting that the Israeli occupation forces systematically target communities near the border of the Gaza Strip, often under the pretext that Palestinian youth have been releasing balloons that cross the border with Israel.